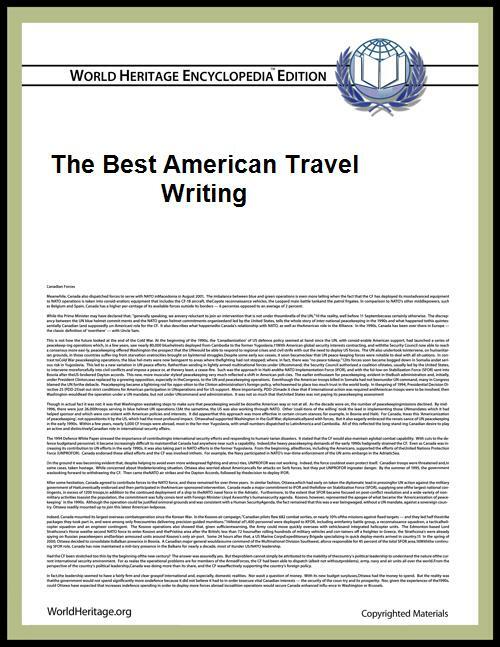 The Best American Travel Writing is a yearly anthology of travel literature published in United States magazines. It was started in 2000 as part of The Best American Series published by Houghton Mifflin. Articles are chosen using the same procedure with other titles in the Best American series; the series editor chooses about 100 article candidates, from which the guest editor picks 25 or so for publication; the remaining runner-up articles listed in the appendix. Jason Wilson has been the series editor since inception in 2000.